Ruffles and Stripes.. I am a huge advocate of the one shoulder top. It’s a great alternative to the off the shoulder top. Don’t get me wrong. 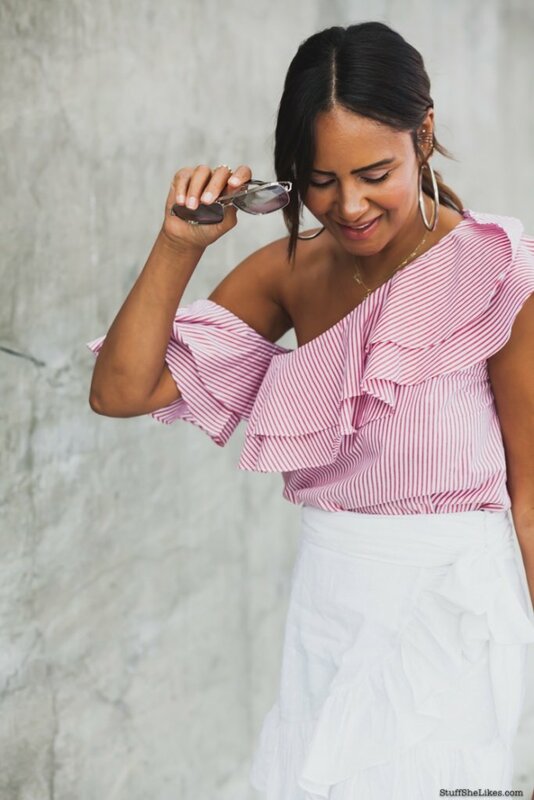 I still adore an off the shoulder top, but the one shoulder has a chic feminine tone to it that makes you feel like you are in the south of France no matter where you are. Add ruffles to the mix and you are sure to turn the heads of anyone around you. Whats your take on one shoulder tops? Love them or hate them? Spring has Sprung… Wearing Color..